Science researcher Dr.Peter Jansen has developed the Tricorder Project. It’s a device that resembles one you’d see in the popular sci-fi show Star Trek. Since it’s Friday, we like to relax a bit and lighten things up. Here’s an awesome video for any fan of Start Trek – or anyone for that matter. Science researcher Dr.Peter Jansen has developed the Tricorder Project. It’s a device that resembles one you’d see in the popular sci-fi show Star Trek. 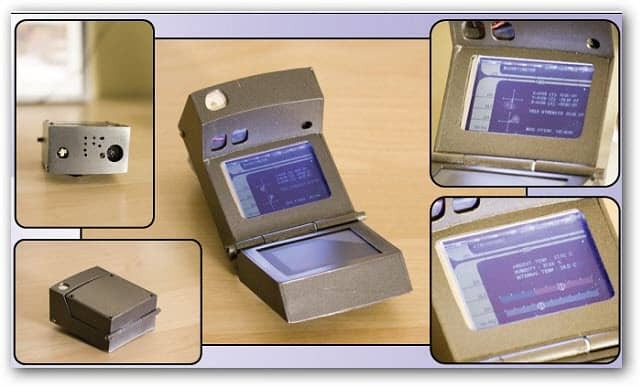 The Tricorder runs on Linux and the project code and hardware is available to the public. There are different models that do interesting things like measure atmospheric ambient temperature, humidity, pressure, magnetic fields and more. All with a cool Star Trek interface. It’s not going to scan behind any bulkheads or caverns on an away mission yet, but you never know! For more on this extraordinary piece of technology, check out this video. Where Dr. Peter Jansen explains his Tricorder devices and what he hopes to see in future development. Now that is just too crazy. Very awesome find. So when will we be able to do the whole teleport thing?